There is nothing simple any more about a real estate transaction. You need an experienced real estate law attorney who will attend to all the details involving financing, contracts appraisals, title search, liens, boundary line issues, variances, certificates of occupancy, environmental impact studies and other paperwork. At Sarisohn Law Partners LLP on Long Island, we protect the interests of buyers and owners of residential and commercial properties. From attending closings to appearing before planning boards, we have the experience you need to take the steps towards a successful real estate transaction. Contact our real estate law attorneys at (631) 543-7667. 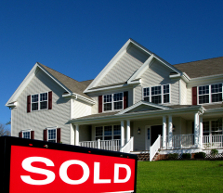 At Sarisohn Law Partners, we recognize the current challenges facing the real estate industry. The troubled market requires buyers and sellers to take extra care in protecting themselves. Landlords fear that tenants cannot pay rent while building residents fear that the owner will go into foreclosure. That is where your own legal team can help. While most of our practice involves residential real estate, we also represent developers seeking to build or subdivide. A real estate attorney is especially important if you need to appear before a board to secure zoning approval or appeal a previous decision. High-profile lenders also come to us for representation at closings. Buyers, sellers, and those assisting their elderly loved ones with reverse mortgages or life estates require a higher level of representation. That is what we provide them. That is what we can provide you. For more information or to schedule an appointment with an experienced real estate lawyer, please contact us.